1. 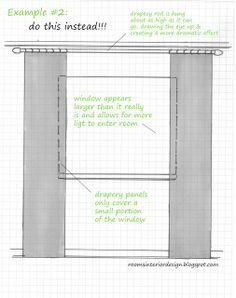 Hang above the window frame. 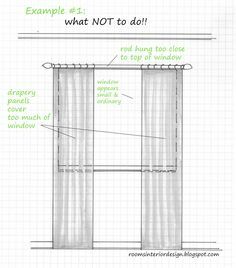 To create the illusion of a taller window, mount the hardware (rod) 4-6 inches hove the window frame. 2. Hang wider than the window frame. Extending the rod 3-6 inches on each side makes the window seem larger and lets in more light.